The 5G mobile communication system (5G) workshop was once again a great success. The number of participants exceeded the 500 person seating capacity of the hall. The workshop’s main topic of discussion was the 5G trial being carried out by the MIC and its aim of new market creation resulting from the future utilization of 5G. Attendees listened to presentations summarizing the current state of various trials from participating companies and organizations. The panel discussion brought together academic researchers, representatives from firms which will utilize 5G, and international organizations, who together conducted a lively exchange of ideas and opinions on the expectations and challenges of the trial as well as the future outlook of 5G overall. Title: 5G Initiatives in Japan Summary: Overview of activities by the MIC working towards to early realization of 5G, including the background and basic concept of 5G as well as information on the 5G integrated verification trials to support the early realization of 5G, including information on the 5G integrated verification trials. Title: Activity Status of 5G Trial Promotion Group in 5GMF Summary: A report on the activities of the 5GMF TPG and an overview of the MIC trial and collaborative activities with Korea. Title: 5G Trial & Collaboration in Korea Summary: Overview of 5G trials and future plans in Korea, collaborations in Korea with other countries, comparing the characteristics of the ITU classification (eMBB, mMTC, uLLC) with the user-centric index (Immersive, Intelligent, Omnipresent, Autonomous, Public) used in Korea. 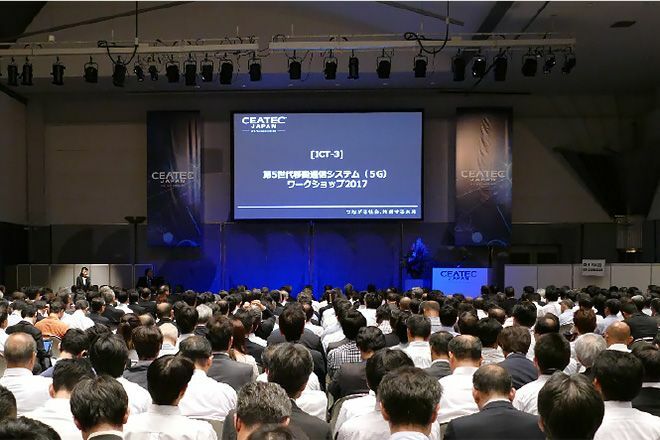 Title: Trial Overview of Group I & II in MIC 5G Field Trial Project Summary: Introduced trials by NTT DOCOMO, NTT Communications, and others, to realize ultra-high speed communication in densely crowded areas or while moving at high speeds. Title: 5G Field Trials by MIC (GIII, GIV) Summary: Introduced trials by KDDI, ATR, and others, to realize ultra-high speed communications with ultra-low latency in large urban centers and surrounding rural areas as well as indoors. Title: Activity overview of 5G Field Trial in Japan Summary: Introduced trials by Softbank, NICT, and others, to realize multiple, simultaneous connections while indoors and to realize ultra-low latency while moving at high speeds. Panelists included presenters from sessions one and two and those working on the 5G verification trials, as well as representatives from firms who will utilize 5G networks, who exchanged opinions and ideas on 5G, including the challenges and expectations concerning the verification trial towards the realization of 5G. Theme: Current Trends and Future Outlook of Realizing 5G Services through the lens of the Integrated Trial Moderator: Prof. Seiichi Sampei (5GMF Technical Committee Chairman/Osaka University) Panelists: Mr. Hiroshi Furuya, Obayashi Corp., Prof. H.W. Lee (5G Forum, Korea), Mr. Akira Matsunaga (KDDI), Mr. Takehiro Nakamura (NTT DOCOMO), Mr. Keiichiro Shimada (Sony), Dr. Hitoshi Yoshino (Softbank).